Embodying activism in Blacksburg, Va.
Based on her words and deeds, Lynn sees things that need improving. 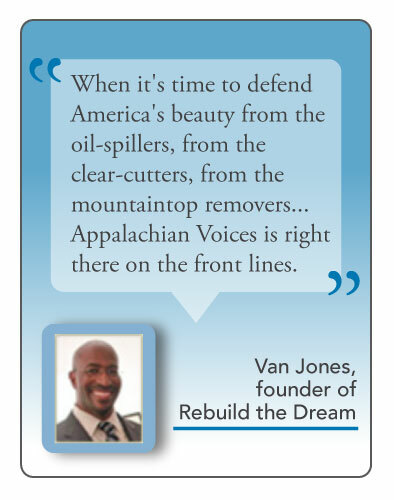 So she became active in numerous causes in her hometown of Blacksburg, Va., where she has distributed about 400 copies of each issue of The Appalachian Voice since summer 2012. 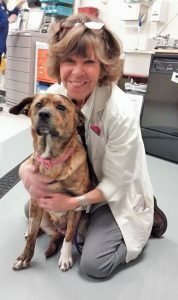 Professionally, Lynn has served as a technician at the Virginia-Maryland College of Veterinary Medicine for more than 30 years. By now, she’s helped train two generations of graduate students to care for the animals they treat. Lynn’s interests extend far beyond her career and often focus on social and environmental issues. Lynn became a Master Gardener in 1997, and she uses these skills to expand food security for those in need. 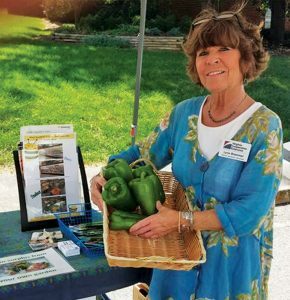 Through her Share the Spare project, Lynn and other gardeners and volunteers work with farmers markets in Blacksburg and Christiansburg, Va., to collect donations of produce from the customers and farmers. They also glean fruits and vegetables from local farms. “We have collected literally tons of produce since 2010 [when the project started],” she says. This frustration with current politics extends to other areas. This year, Lynn joined the board of her local NAACP, and she worries that hostile attitudes towards minorities could discourage talented people from making their home here.